Macintosh (Mac) OS X Accounting Software – Benefits And Why You Should Consider One If Your Business Is Using Mac? If your company is using Mac operating system (OS), finding a featured-packed and compatible software is not easy. Running a company entails keeping records and account for your expenses, sales and invoices. Having excellent record keeping is crucial to making your financial statement and tax filings easier at the end of the year; and with businesses having multiple facets tied to their financials, having accounting software tends to make the organization of your business more efficient. Regardless of whether you own a small business, work from home, or own a large brick and mortar store, having an excellent system to keep excellent records in place is imperative for success. 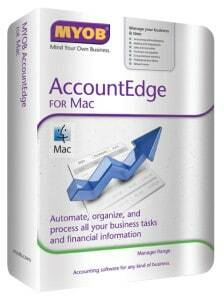 By using Macintosh OS X accounting application and the various functions that come with it, you can organize your business finances easily, stay on budget, track your expenses and customize your experience by attaching e-mails and a deposit history right into the accounting software for easy access. 1) Create invoices and sales receipts that allow you to keep track of who owes the business money, what they have bought and when they paid you for what they bought. By keeping track of customers’ history to watch the trends of what they buy and how they pay for it, you can easily anticipate their needs and create promotions to reach out to them. 2) As the application is built specially for Mac users, there are Mac unique features in the program rather than a generic feature set when compared to other operating systems like the ubiquitous Windows. You can keep track of important dates with the iCalendar integration and import your address book right into the software. This allows you and your business to keep updated contacts with the synchronisation. 3) Just like your Mac OS, the interface is extremely intuitive and simple to use. This increases efficiency and the freed up time can be used for other aspects of your business. 4) Track the time spent on various job duties, logging in hours and then having the capability to bill for those hours, add in reimbursement files and show expenses on these invoices so that you can break everything down in an easy to understand invoice. You can download this useful data in report formats. When looking at the MYOB features for Macintosh computer users, it offers simple solutions for those who are looking for multiple user functionality. The MYOB software for Mac gives users the ability to manage all accounting facets including: GST, sales, payroll, inventory and billing. In addition, MYOB support team is there to address any issues that you may encounter, making your setup a breeze. MYOB is an accounting data suite designed for easy management on all financial data of a business enterprise. Preferred by business entrepreneurs due to its outstanding product features and valued customer satisfaction. It is among the most popular accounting software used in Singapore, Australia and New Zealand and is considered as one of the world’s top leading premier accounting products solution. With excellent customer support, you will have access to quick phone and email customer support for help and troubleshooting. Contact Us (click here) now to ask today about solutions we provide for your business!